Vintage boat lovers and classic cinema fans alike will have plenty to get excited about at this year’s Sotheby’s spring auction on Lake Como. The auction house will be putting a 1959 Riva Super Florida, which used to belong to Brigitte Bardot, under the hammer on May 23. 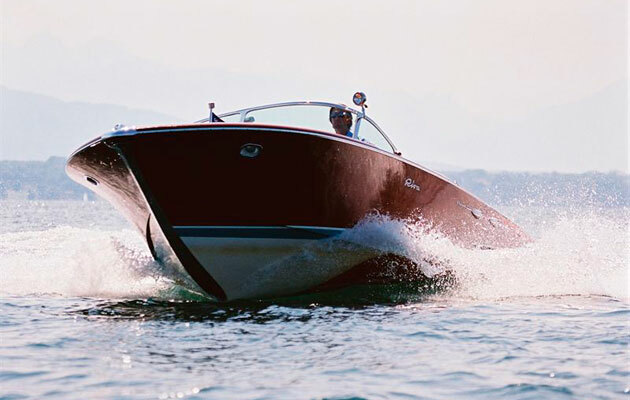 Nounours is a classic wooden Riva that was built on Lake Iseo by Carlo Riva and his team in the late 1950s. Bought by screenwriter Roger Vadim in 1959, this 20ft cruiser was given to his movie star wife Brigitte, who kept it moored by her St Tropez villa. She used Nounours regularly in the early 1960s before selling her on to a local restaurateur, who owned the boat until the 1990s. The layout features a bench seat helm and a convertible cockpit that can either be set up as a sunpad or provide additional bench seating. This iconic Riva Super Florida has since been restored by a classic yacht specialist and is expected to fetch upwards of €80,000 (£57,000) at the Sotheby’s auction. Also due to go under the hammer is Shaheen, a 1976 Riva Aquararma Special (pictured below), formerly owned by the Emir of Qatar, Sheikh Hamad-al-Thani and restored by RAM Sarnico in 2005. Powered by twin 350hp V8 engines, this model is registered in Switzerland and should fetch more than €350,000 (£250,000) at the Italian auction. For more pictures of Brigitte Bardot’s 1959 Riva Super Florida, click on the slideshow above.